Katsu Houses have been sprawled all over the metro. Those juicy pork meat coated with crispy batter, the japanese way have been capturing our foodie hearts (and tummy). 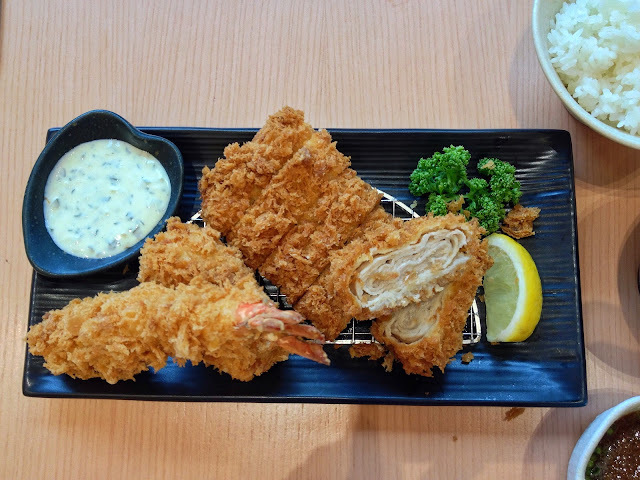 Armed with the perfect set meal of unlimited rice for the typical Filipino eaters, unlimited cabbage for people whose watching their carbs, refillable miso soup and pickles, These Katsu places sure know how to make tummies happy. 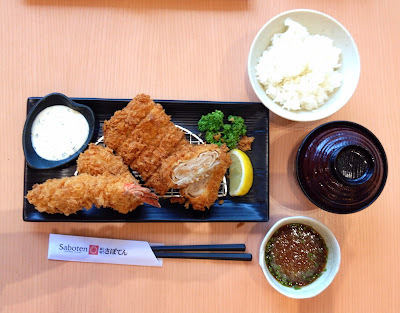 Saboten is the first franchised restaurant acquired by the Raintree Restaurants whose known for their western cuisine attributing to their roster of restaurants like M Cafe, Mr. Jones, Momo and Chelsea. 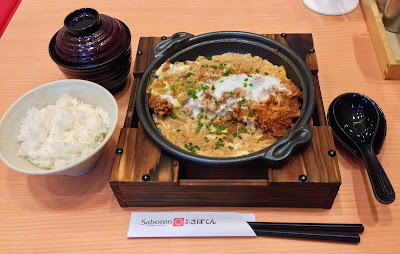 When Saboten came to the Philippines, it has directly been on the top 5 katsu places to try in the Metro. I've tried several katsu places like Yabu and Kimukatsu. Recently, Saboten opened its second branch just below our office in Glorietta 5. So I was curious how good Saboten really is. Did Saboten Lived up to it's hype? I ordered my favorite Mille Feuille Katsu Combo Set. I first fell in love with Mille Feuille Katsu at Kimukatsu and never looked back. Though the Pork Tenderloin Katsu is okay, Mille Feuille is more appropiate for my braces-locked teeth. 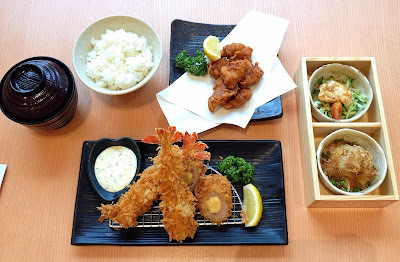 The set comes with 130g Mille Feuille katsu, one large shrimp tempura and crab croquette including the unlimited rice, cabbage and miso soup set. I can say that Saboten's Mille Feuille was heavenly, I dare not kid. It was juicy, oh-so-soft and tender. 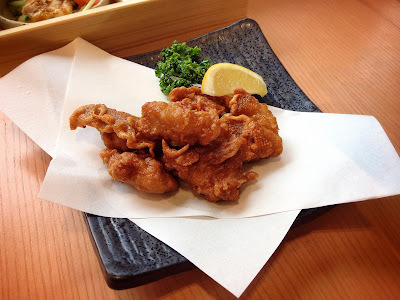 The juices were oozing from the crunchy special japanese breadcrumbs. 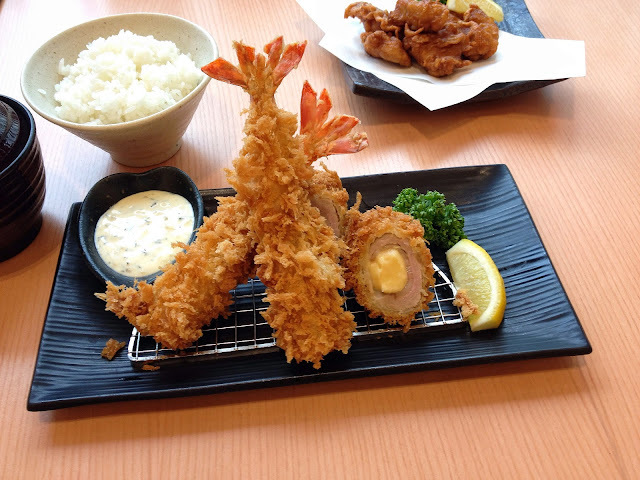 The shrimp tempura was large, by large I mean the shrimp meat itself was big. And I loved that the crab croquette was creamy and savory. I was overwhelmed by the amount of food that came with the set. I didn't know which one to eat first. I almost didn't finish my rice, cabbage and miso soup. The "Yuki" Set comes with two deep fried shrimp, one rolled cutlet with a choice of stuffing (asparagus, cheese or plain), Porkloin Karaage, two appetizers and the unlimited rice, cabbage and miso soup. Unfortunately, this set can only be ordered for one person, but if your companion another set also, you can happily swap the items. A closer look of the deep fried tiger shrimp and rolled cutlet stuffed with cheese. 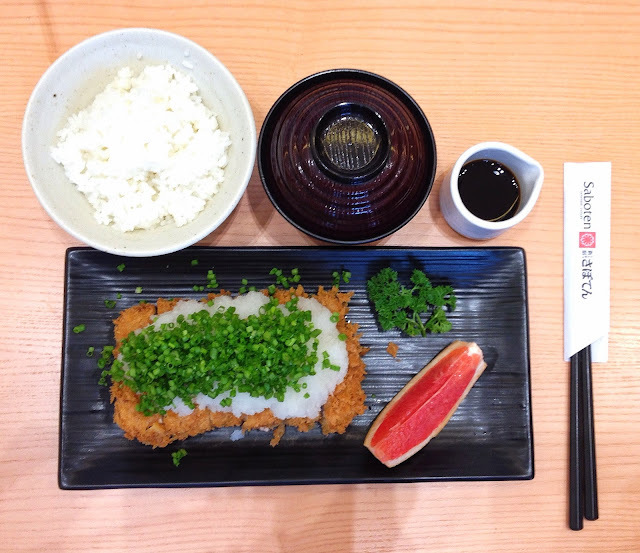 It's your Tenderloin Katsu topped with grated raddish, with grapefuit and ponzu sauce on the side. It also comes with the unlimited rice, cabbage and miso soup. 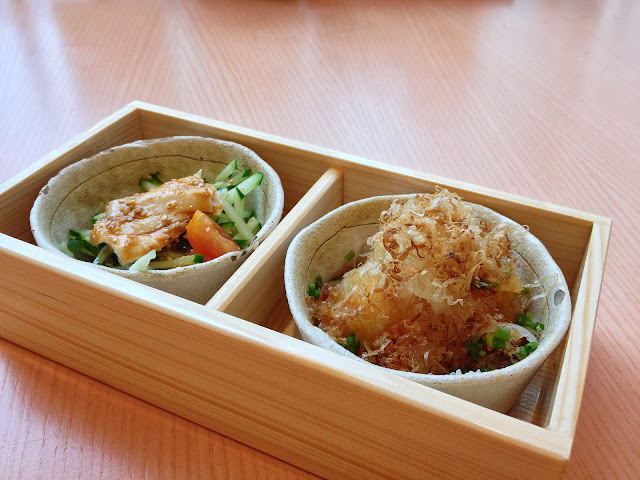 The Claypot Tenderloin set is similar to a Katsudon. Katsu sitting in a bed of egg with special sauce. It also comes with the unlimited rice, cabbage and miso soup. 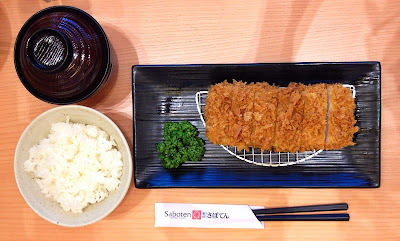 This is the signature Tenderloin Katsu of Saboten. It also comes with unlimited rice, cabbage and miso soup. Order this if your not the adventurous foodie type. 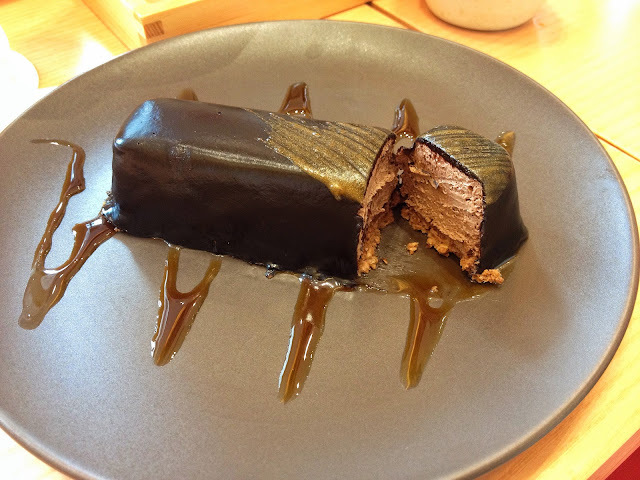 Saboten also have a range of desserts to try. Their dessert menu is limited to shortcakes, parfaits and ice cream. It was simple and fuss-free. 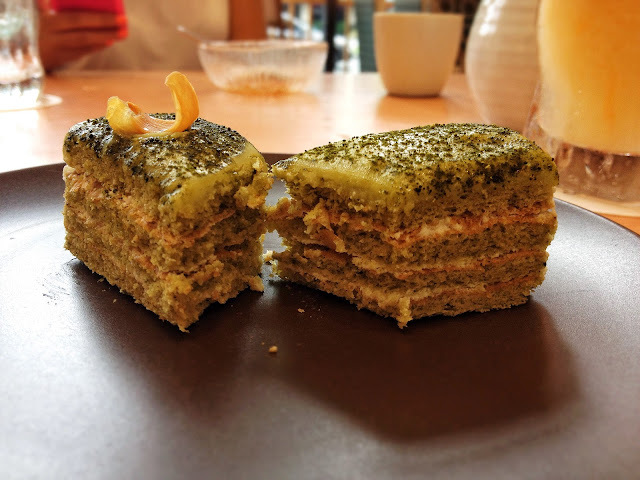 Saboten's Matcha Shortcake is made of layers of Matcha Chiffon and Lychee Mousse dusted with Green Tea Powder and a Fresh Lychee on Top. It was not that special, just enough to satisfy your sweet tooth. Their Chocolate cake is quite similar to a mousse. The texture was nice and tasted okay. 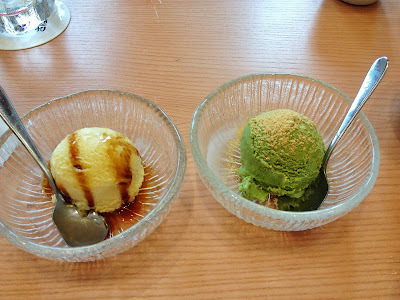 Their ice creams was smooth and creamy as well. The desserts at Saboten is simple, and no brainer. Overall, my experience at Saboten was a good one. The place was pristine. All their staff are attentive to your needs. Plus, the food was heavenly. They also serve beers and other drinks. I can say that Saboten really belonged to the top 5 katsu places in Metro Manila. Next time, I'll try their Claypot and Miso Sets, and also their parfaits. 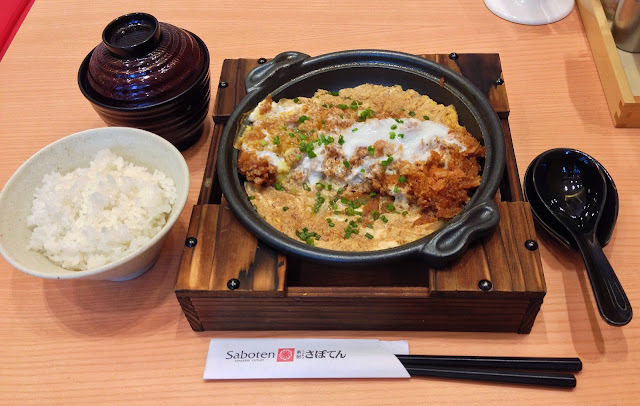 What are your favorites at Saboten? Share it at the comments below!